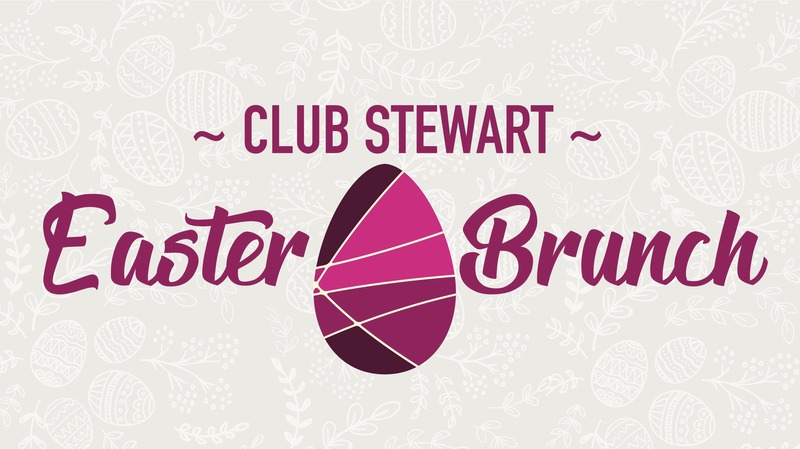 Join us for our annual Sunday Brunch at Club Stewart! Bring the whole family for a signature southern style buffet with a create your own omelet station and more! Mr. Cottontail himself, will be making an appearance during the brunch for photos and selfies. Our signature Omelet Bar and Carving Station featuring Glazed Ham and Beef Tenderloin! Kids under the age of 3 get in for free! Every kid under the age of 12 will be able to participate in our Easter Egg Hunt! The egg hunt will be broken down by age group (0-3, 4-6, 7-9, 10-12). Each ticket is good for one 2hr brunch and egg hunt. Egg Hunts will occur at approximately 11:45am and 1:45pm.